The Talkeetna River is another very popular fly fishing destination in Alaska. People come to the various rivers from all over the world to catch the large Salmon that run these rivers each year. The Fly fishing can be amazing during these runs, and the season is short so you need to plan your trip early while guides are still available and the lodges still have accommodations available. 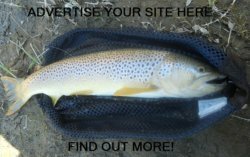 There are many Alaskan fly fishing guides, fishing charters, and fly fishing lodges available to choose from. Salmon fly fishing a very popular sport in the state, and many people travel to the many salmon filled streams every year. If you have never fly fished for salmon you do not know what you are missing. Why not give it a try? The Talkeetna River is not just a great white water rafting river, it is a great fishery as well. With the miles of class IV rapids on this river it would be easy to overlook the fishing possibilities, but the fishing on this river is great. With the trophy size Rainbow Trout and the Salmon that return every year this is a great place to fly fish. There are many guides that will give you the best of white water rafting and fly fishing on one of their guided trips. This river is in the middle of the wilderness, and it is a tributary of the Susitna River. You are sure to find bear and other wildlife on any excursion during the salmon runs. The Silver Salmon runs occur in June followed by the King Salmon runs that happen in July. Chums and Pinks will peak between August and mid-September. Even though you can access the river from the downtown area of Talkeetna there are a few things you need to be aware of. You need to watch for bears! They like fish too and they are not afraid of staking a claim on a stretch of river. You also need to be watching out for nets and fishing weirs that are used by the local fishermen. Located about 2 ½ hours North of Anchorage you find yourself in the middle of a vast wilderness, and in many areas you will be able to see Mt. McKinley in the distance. 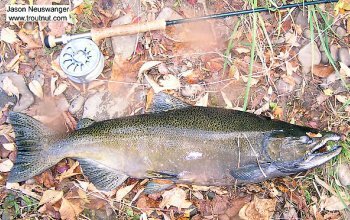 If it is trout you are looking for you may want to head for Talkeetna Lake to go after Rainbow, Dollies or even some Grayling. If you want to get out and wade while fly fishing head for Clear Creek then follow the trail up the river over half a mile and you will find some good fishing. Be aware of the Bears! Leave the Talkeetna River, go to Alaska page.